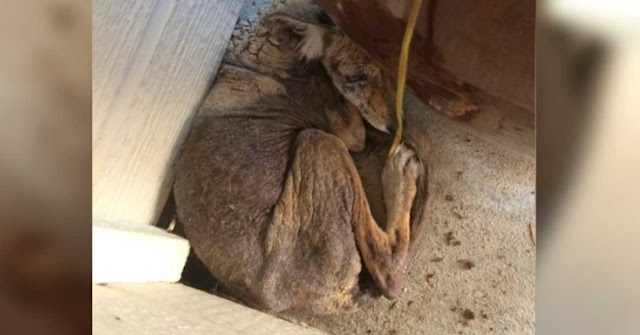 When this abandoned, underfed and severely unhealthy animal showed up on Sharon’s doorstep, she assumed that she found a homeless dog. 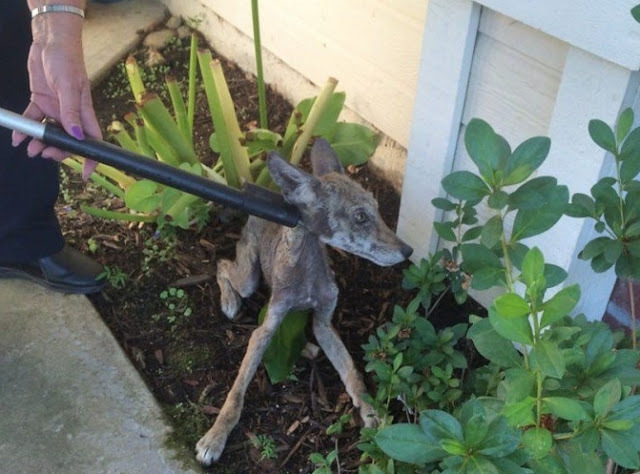 The woman, a California native, found the animal behind a ceramic vase and wanted to help to dog out right away. Because street dogs can be hostile to humans, Sharon managed to find a fitting cage for the dog to stay in until help arrived. 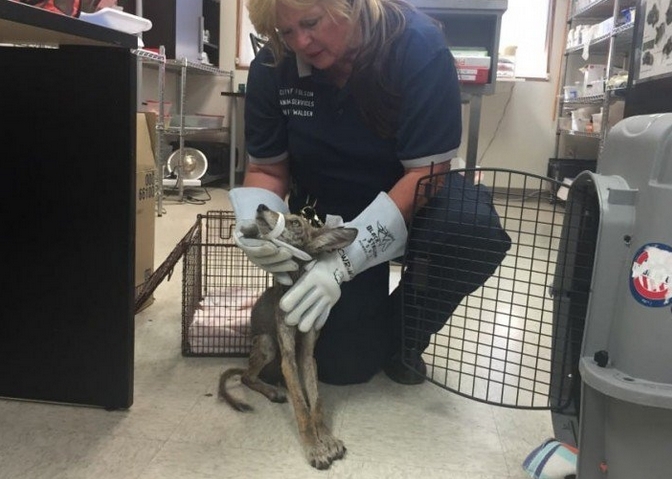 She called her local animal shelter, as it was evidently clear that the animal needed some form of medical assistance. 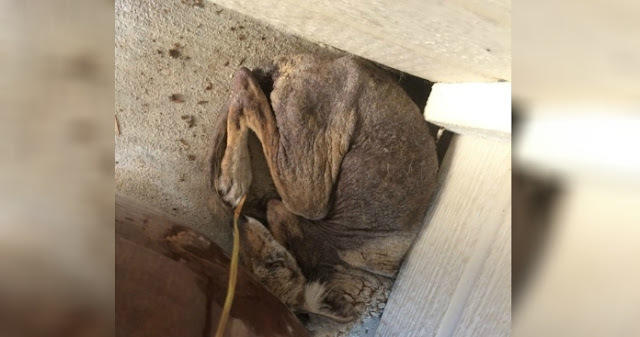 Up until then, Sharon still assumed that she had found a dog on her porch, but when the rescuers from the Folsom animal services group arrived at her house, they all made a surprising discovery. Although the animal certainly looked like an underfed dog, it turns out it wasn’t actually a dog at all. The animal that Sharon found was a small female coyote, who certainly looks a bit like certain dog breeds. 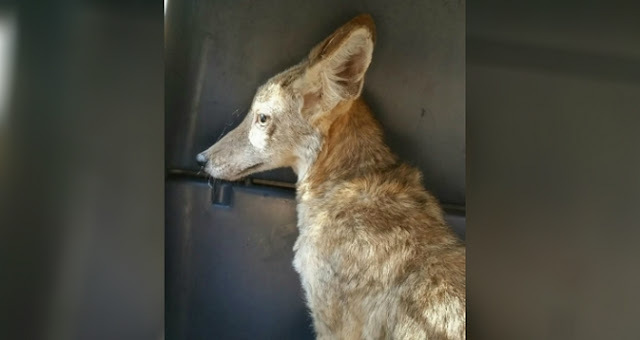 Because she was so underfed, it was pretty hard to see the characteristics that set coyotes apart from the loyal four-legged dogs. Understandably, it was quite difficult to realize that Sharon had found a coyote instead of a dog. The animal shelter then, in turn, contacted another rescue team, this time specialized in wildlife. 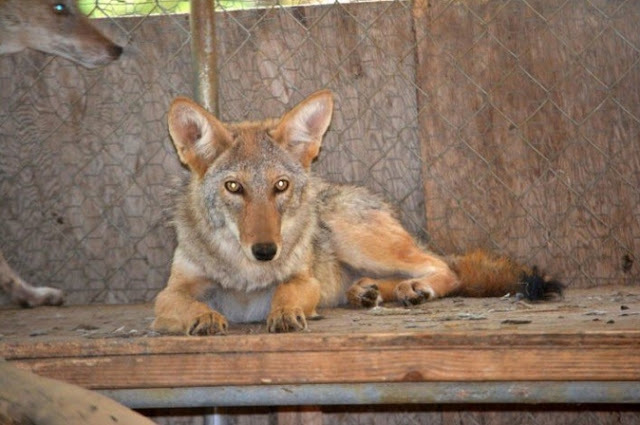 The people from the wildlife support group transferred the coyote to a local and suitable shelter, and also give her a cute name: Princess. 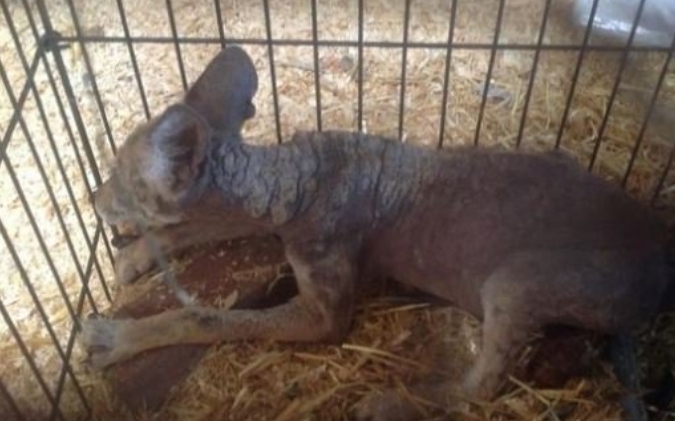 She was given all the help she deserved over there and was given plenty of food and a nice bath to take care of her mange. The shelter also had a bunch of other coyotes, so Princess quickly was able to make new friends. In fact, Princess became really fond with two other coyotes at the shelter – the trio of coyotes were always seen playing together. 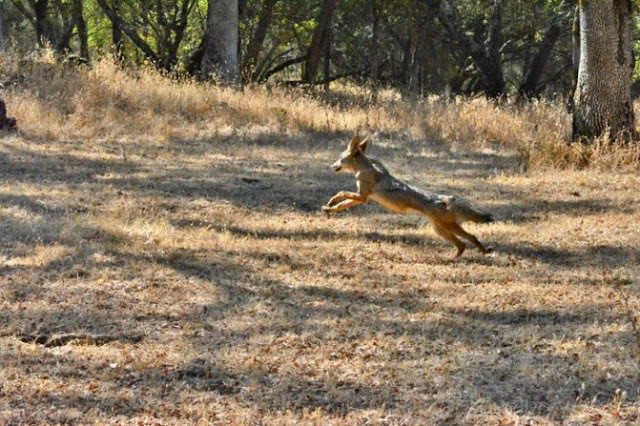 Princess certainly seemed to enjoy her time in the shelter – but her path is meant to be in the wild. 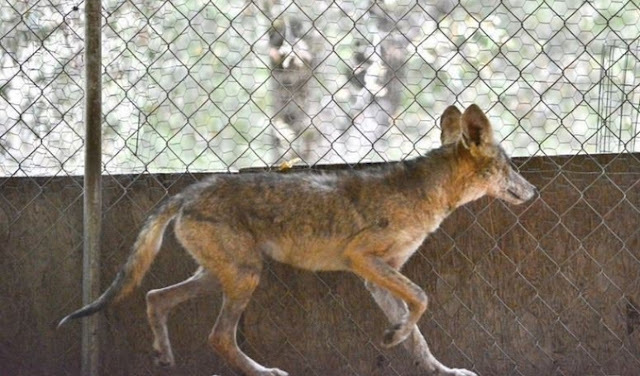 After all of the coyotes in the shelter were healthy enough to survive and live on their own, they were released back into the wildlife. Responses to "Woman rescues a homeless ‘dog,’ but it turns out that it isn’t a dog after all "
Aww...Princess is beautiful. I'm so glad she was saved. 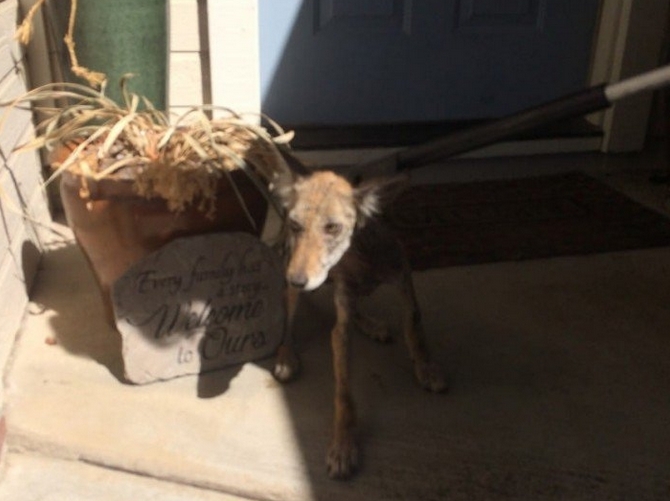 Thanks to all the kind people in this story, who helped Princess when she needed it so much.